I honestly don't know what's going on with my mail lately - but all my boxes are getting SUPER beat up in transit. 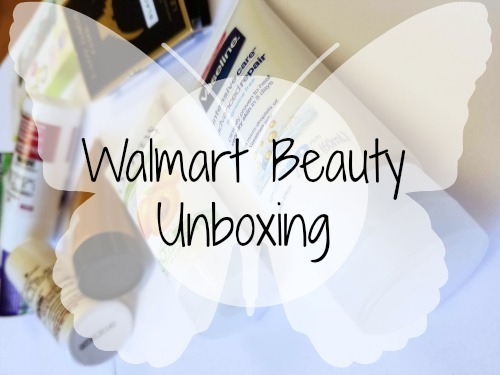 This seasons Walmart beauty box is super pretty - even if it is a little dinged up. 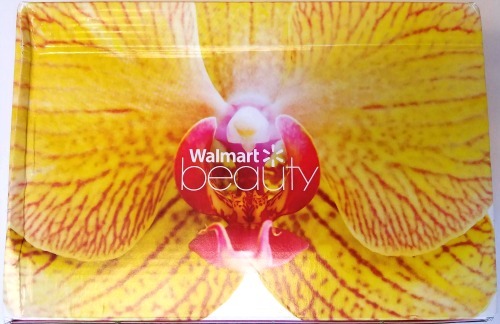 Orchids are one of my favorite flowers - so seeing a bright yellow on on the box really grabbed my attention. Opening the box its just the normal unboxing stuff - the inside of the box is a really pretty pink and there is the little intro card. Its lets you know which hashtags to use and which season this box is for. 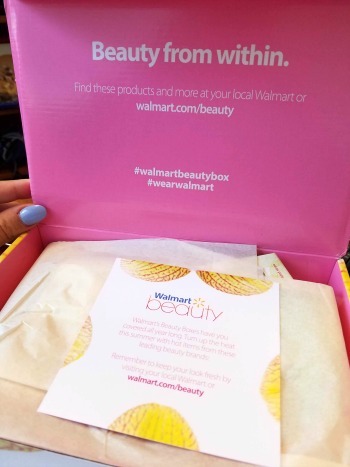 If you didn't already know - the Walmart Beauty subscription is a quarterly box. Meaning that you get one box 4x a year and it's free! (but has $5 shipping). All of the boxes I've received are packaged like this and I've honestly never had a box come in this damaged before. It's okay this time though - nothing inside was damaged. This is the contents of this box. It was honestly a little underwhelming because a lot of this stuff I had actually already gotten in previous boxes. The St. Ives face wash, shampoo and conditioner, and perfume samples were things I've already received. I never seem to use the shampoo and conditioners that come in these boxes - so they end up just taking up space in a drawer where I keep these things. 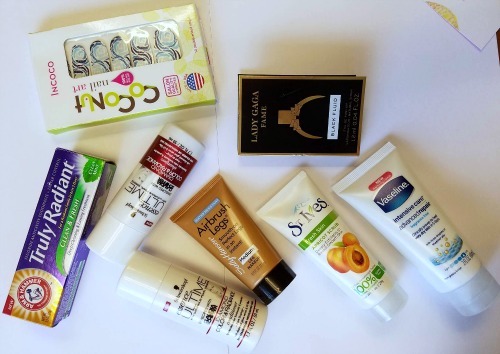 They also sent toothpaste (although a different one) and a different tanning lotion in last quarter's box as well. The other two things though were totally awesome. The nail art strips are super cute (blue roses!) and the Vaseline moisturizer is for very dry skin (which is me). I'm already using the moisturizer and I'll probably be grabbing a couple of these nail art strips from the store for when I travel to Japan! This honestly wasn't the best box I've ever received - but it was only $5. I'll probably continue my subscription though, because even for the duplicates I'll end up giving them to friends who want them.